Primrose has to be my favorite neighborhood. It’s this alcove of untainted charm, quaint restaurants, and unique little boutiques. My mom and I always joke, why can’t they just put all the cute places together and finally, I think I’ve found that rarity. If you’re in the area, Lemonia perpetually draws in a buzzing crowd. After a bite or two, take a stroll through Graham and Green. I wish I could live in this bazaar of home décor. Other favorite shops include Gallery 196 which offers breezy caftans to bright ikat pillows, and Anna, a store featuring the closet you wish you had. For a sweet tooth fix Primrose Bakery offers mini cupcakes, but the lovely shop seems to be a neighborhood secret. If you find it at the end of Gloucester Avenue, you’ll quickly realize the extra walk was well worth the trip. In spite of all the shopping and dining, the best part of Primrose is the view from the top of the park. 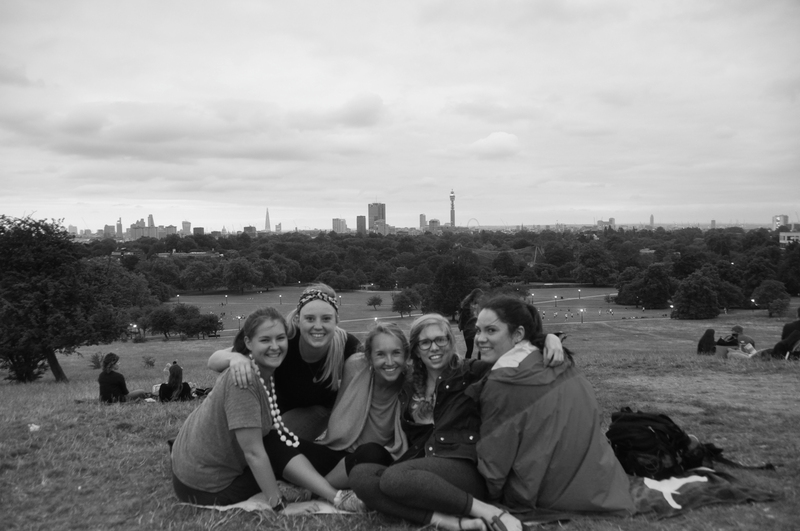 The panorama of London’s skyline provided the perfect place for dining, relaxing and sharing a few laughs.